International Criminal Law has given hope that we can actually hold our leaders accountable for crimes they commit and crimes that their subordinates commit. The trial of President Fujimori of Peru has the potential to set certain precedents on the international stage. The tumultuous responses to Fujimori's presidency, asylum in Japan, and eventual capture and trial have spanned the spectrum from heroic to tyrannical. I recently interviewed the creator of Fujimori On Trial about the case and how it will affect global justice. DB: What is the Fujimori case all about? FOT: Fujimori is being charged with crimes related to corruption and human rights for his time as president from 1990-2000. Right now is the trial for the human rights charges which includes the kidnapping and execution of 8 university students and a professor; the massacre of a group of poor people holding a fundraiser and the kidnapping of a journalist and business man. Fujimori did not actually pull the trigger, but is being charged for being the intellectual author of these crimes since he created the whole\ systematic repression that included the creation of a death squad that did these killings and abductions. DB: How is it going to affect us? FOT: Right now there is a growing movement called International Criminal Law which basically is laying the foundation for holding presidents and other top state officials accountable for violating the rights of citizens. Before now, these people could do anything and get away with it: murder and torture thousands of people. But now, its not so easy to get away with such crimes and each new trial makes this law stronger. DB: What are people being told vs. what has truly happened? FOT: The case of Fujimori is distinct because he was not a military dictator, but was democratically elected. So many people outside of Peru do not realize how corrupt he really was. Also in the country, he was a populist leaders so he bought the favor of the poor by building them schools, and roads while he meanwhile imprisoned and disappeared thousands of people. The Business world and the rich also like him because his neoliberal policies worked in their favor. So the trial is occurring within a very divided community. Not to mention that his daughter is in Congress and running for president and has quite a bit of power. The current president Alan Garcia has also been implicated in human rights violations so he doesn't exactly want a precedent like Fujimori's convictions. So even if Fujimori gets sentenced, he very may well be pardoned by either Garcia or his daughter if she becomes president. DB: What are the most important issues surrounding this? FOT:There are many. But one in particular is the idea that a leader can be held criminally responsible for the actions of his subordinates. This is called command responsibility. Many of the "foot soldiers" are just being sent to do the dirty work of the powerful elite who think that they will get off scotch free because of the distance from the crime. So this litigation strategy holds the big fish to account and thus it puts all heads of state on notice in the future. DB: What is the ideal outcome, and what sort of standard will this set? FOT: Ideally, the trial will follow all due process procedures to uphold the standard of the rule of law (something Fujimori himself did not permit for thousands of people resulting in many unjust imprisonments for terrorism); and then it is hoped that the prosecution offers enough solid evidence to lead to a conviction that would not be pardoned. This will be important for the reasons above but also because this is one of the first wholly national trials to hold a president liable for human rights violations. DB: Why is accountability important? FOT: In principle, it works as a deterrence to future crimes. 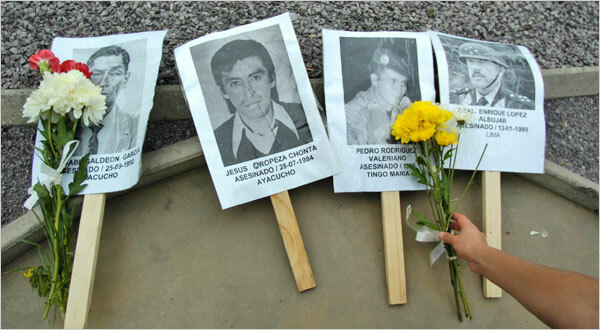 But its also important for the families of those who were killed or disappeared, since they continue to suffer. It also builds societal trust in the courts to show there are consequences for wrongful acts. DB: How has the trial been thus far? FOT: It has been interesting. The court has heard many witnesses (almost 100 so far) and much of the evidence goes against Fujimori. On the other hand, it has been entertaining to see how Fujimori pulls all the tricks to get out of the trial (such as one day all his lawyers simply didn't appear, and then last week he had to have white spots removed from his tongue etc). DB: Why is a case like this being ignored in the mainstream media? 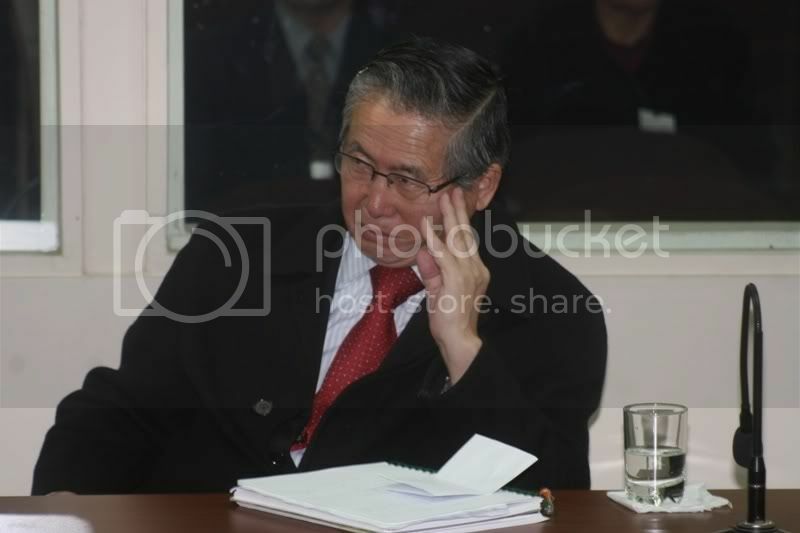 FOT: Fujimori was a quiet dictator and because he saved the Peruvian economy andis perceived as having defeated terrorism in Peru, he is looked uponfavorably. Also, its not an international court or a case in Europe (like Pinochet), and the world just doesn't pay as much attention to Latin America. DB: How many people visit your blog and what has the response been like to it? FOT: We started in January and we have had about 10,000 hits. We have a handful of regulars who comment daily, especially pro-fujimoristas. We were hoping for more international involvement but that has been slower to garner. DB: Any other information you'd like to share? FOT: If Peru feels under the international spotlight about this trial, it is far less likely to pardon Fujimori should he be convicted. So international pressure through attention is key. For more information on this, please visit Fujimori On Trial.